Perfect for your little Diva! 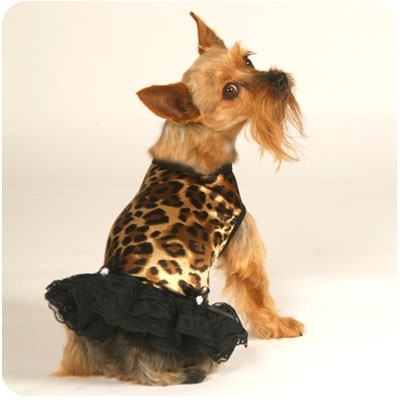 Made from leopard print Lycra and black lace, this little diva design is cool and classy. The skirt has three layers of ruffled black lace with two black chiffon flowers with pearled centers and black satin bows. This little gem also features a matching black lace hat.